Discover your new favorite coffee today! We sell only 100% Direct Trade coffees personally selected to be the Best of the Best from every region and farm that is represented. Originally sourcing coffees from Vietnam, we have expanded to offer old and new world coffees that all have one thing in common: They are heritage varieties grown for decades or even centuries for taste and character first, rather than modern hybrids chosen for high yield or other traits. If the thrill is gone from your coffee, you can find it here again! Browse our traditional Vietnamese coffees from the world's 2nd-largest coffee producing nation - and recreate the authentic Vietnamese coffee house experience of Café Sua Da hot or iced coffee at home! Smooth, strong, low in acid... everybody loves it. Browse our own brand of fresh-roasted coffees created from 100% Direct-Trade-purchased beans imported from the best farms in many of the premier growing regions of the world, along with our master Blends and signature Harlequin Roast™ award-winning coffees. We also specialize in supporting home, hobby and commercial roasters who are serious about their craft and want to offer uniquely amazing and distinct coffees that can't be found elsewhere, including our pre-mixed signature blends. Visit us on Facebook! We have a new page on the mighty book of faces. It's new, so it's not big yet, but we'd love it if you'd stop by and chat. New coffees! Uganda Bududa, Indian Arabica and Robusta coffees, and the latest Saigon Blend : Lam Dong Arabica. 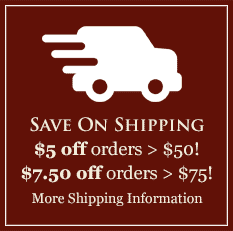 Visit our Sale Page for great special prices and new items every week. 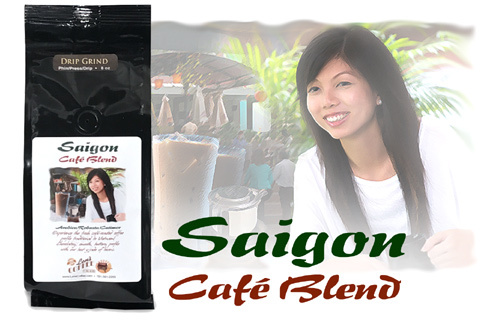 New Line: Our own Saigon Blends! Vietnamese roasting style is a secret no longer, we have mastered the techniques and now offer you the quintessential chocolatey, rich, buttery taste with signature Highland Peaberry Robusta, Dalat and Laotian Bourbon Arabica, Buon Me Thuot Excelsa beans and more. Try them all as we release them, you just might find your new favorite coffee today. We have put our most unique coffees and roasts into a new packaging option, the Mason Jar Glass Pack! Coffees are poured into the jar while still warm from roasting and partially sealed while they go through their initial "rest" and are outgassing CO2, a natural process. After a few hours we seal the bottle tightly. This puts the internal beans under pressure and preserves the original fresh roast flavor better than any other method we have tried. A totally different type of coffee with tons of fruity, citrusy tones (but no sourness!) and a delicious lingering finish. 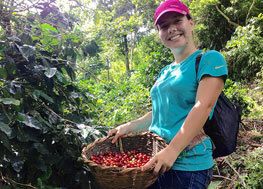 Catimor is an heirloom variety of coffee that's resistant to the devastating Coffee Rust. In our brand-new Limoncello Roast it's also one of the best iced coffees we've ever tried. Learn more and shop for Catimor here. The most common kudos we receive are thank-you's from customers who are pleased to be treated like family and by the fact that real people answer the phones. Combined with our personal guarantee that EVERY coffee on this website is truly exceptional, we strive to provide the best possible coffee and coffee-buying experience. I just want to thank you for having the best coffee I ever drank. I have turned many of my friends and family on to your business. 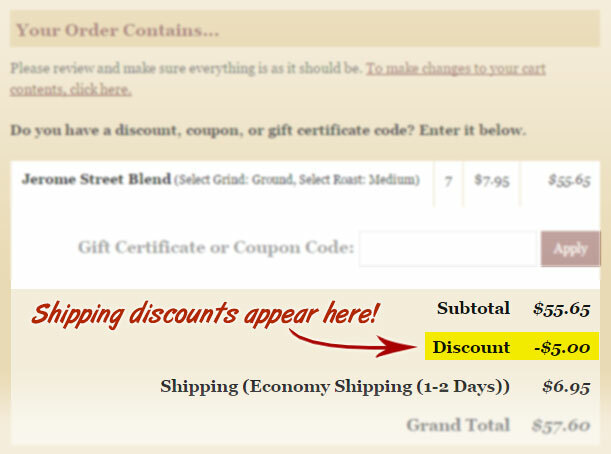 I have not had a bad coffee from your company, keep up the great prices and coffee. - Dan K.